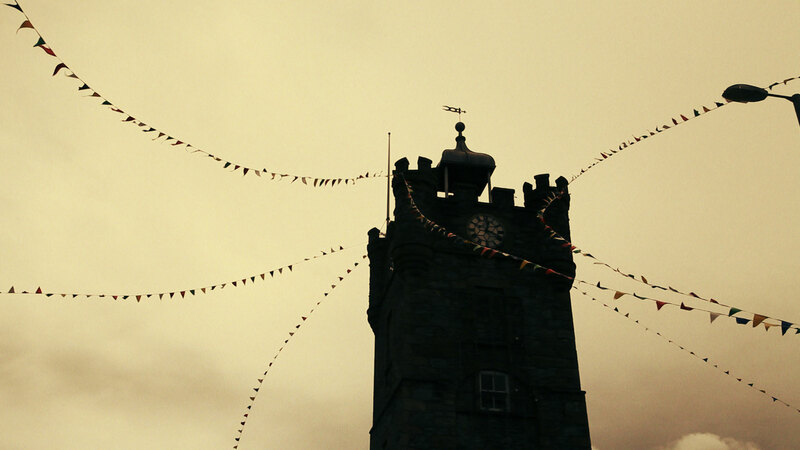 Strings of carnival flags, tied to an old stone tower, flutter in the wind. 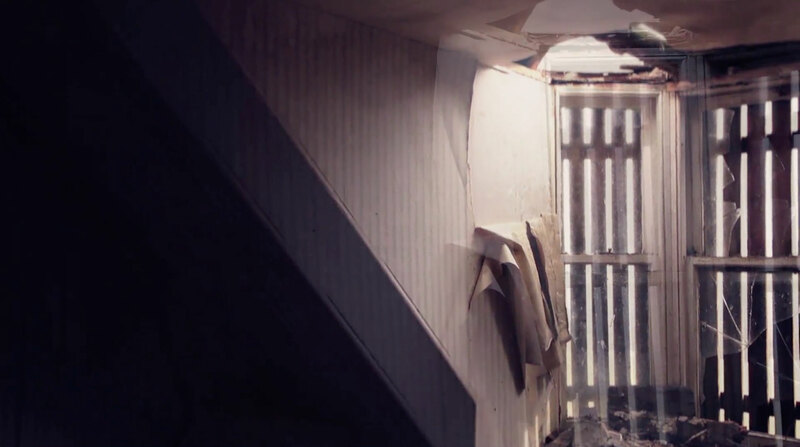 The rooms of an abandoned house lie ruined with surfaces peeled and broken. 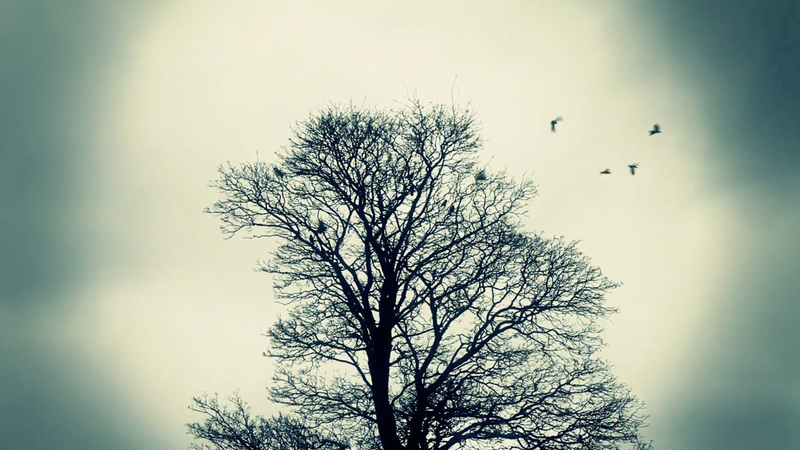 Crows in a rookery cry out and congregate at dusk. A line of fog moves across wintry landscapes, plotting a path. 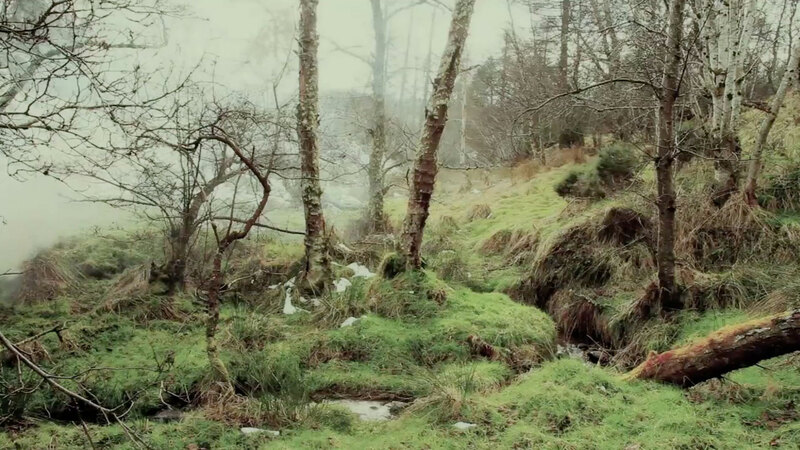 Shot in northeastern Scotland while in residence at Dufftown's Glenfiddich Distillery, these four videos suggest a haunted presence without the usual elements of storytelling. Slight movement becomes remarkable and the ghostliness lies in the settings themselves. 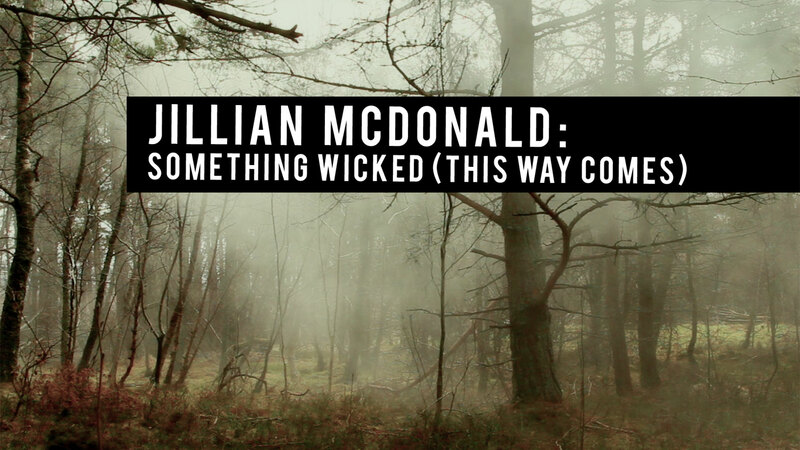 With these words, Canadian new media artist Jillian McDonald describes the four new video works on view in the exhibition Jillian McDonald: Something Wicked (This Way Comes). 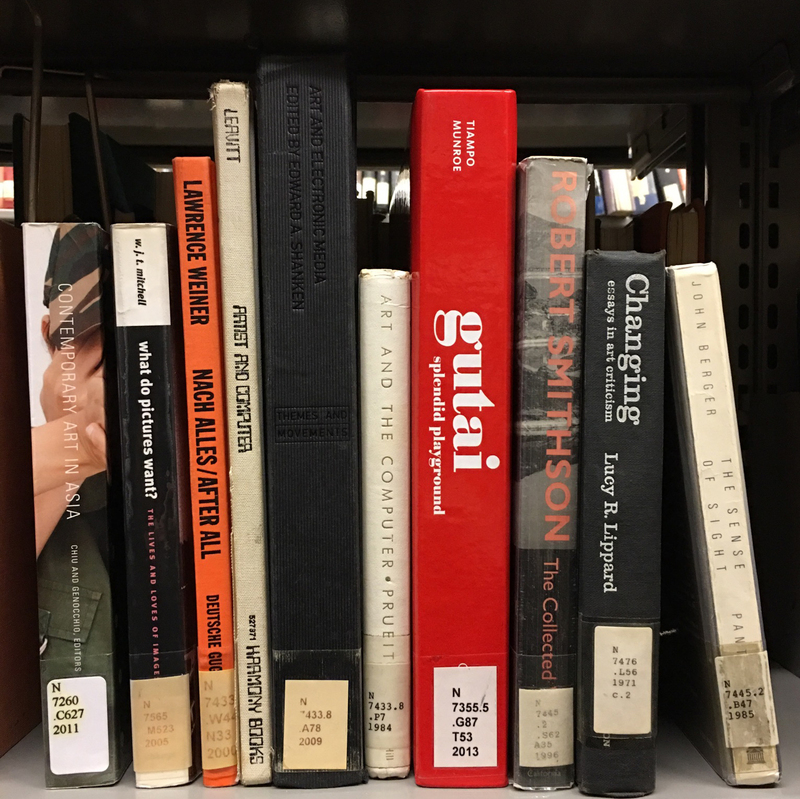 In these videos, McDonald extends her longstanding examination of archetypal motifs and themes from horror films and cautionary tales. While her work draws inspiration from the horror genre and its surrounding fan culture, this latest series, shot on location in Scotland, notably abandons the character-driven formula that marks the genre’s plot progression. 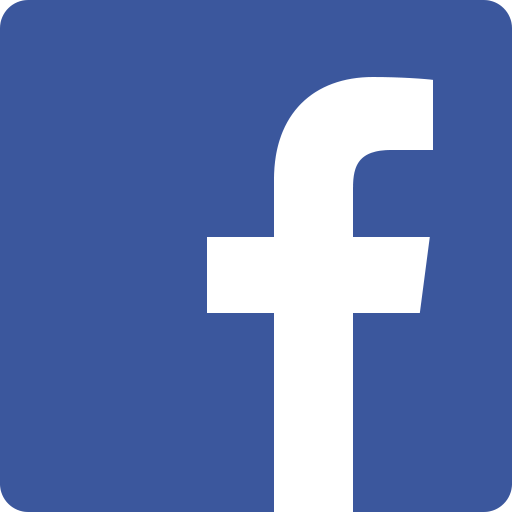 Instead, each video progresses, compellingly, by focusing solely on landscapes devoid of human life. Although deserted, these lush spaces roll with subtle continuous motion. Movements of birds, fog and breeze permeate magnificent scenery, taking on eerie significance, while relentless edits build suspense in a plot-less progression without end. In these videos the paranormal achieves literal meaning. 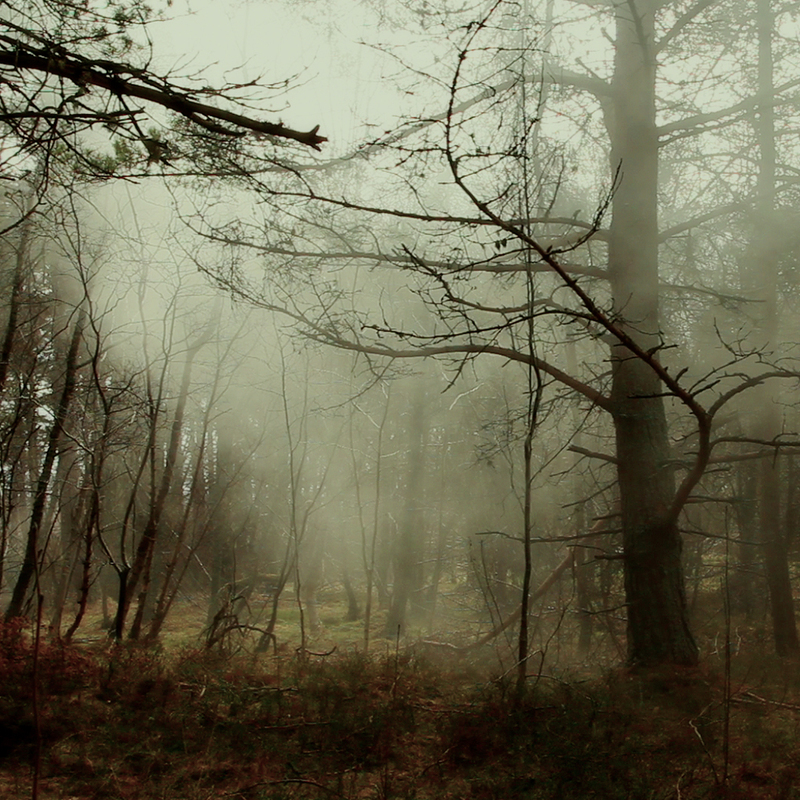 The paranormal is "para"  which is to say it is the surroundings, in the landscape itself. Placing the otherworldly in the world, McDonald portrays it as neither ghoulish nor mundane, but rather sublime. Her breathtaking scenery appears at once bewitching and bewitched. Jillian McDonald is a Canadian artist who lives in New York where she is an Associate Professor of Art at Pace University. She is hopelessly in love with northern places, snow, fog, and the ocean; and since 2006 has watched a healthy amount of horror films. She spent much of the past year living and working in Northeastern Scotland. 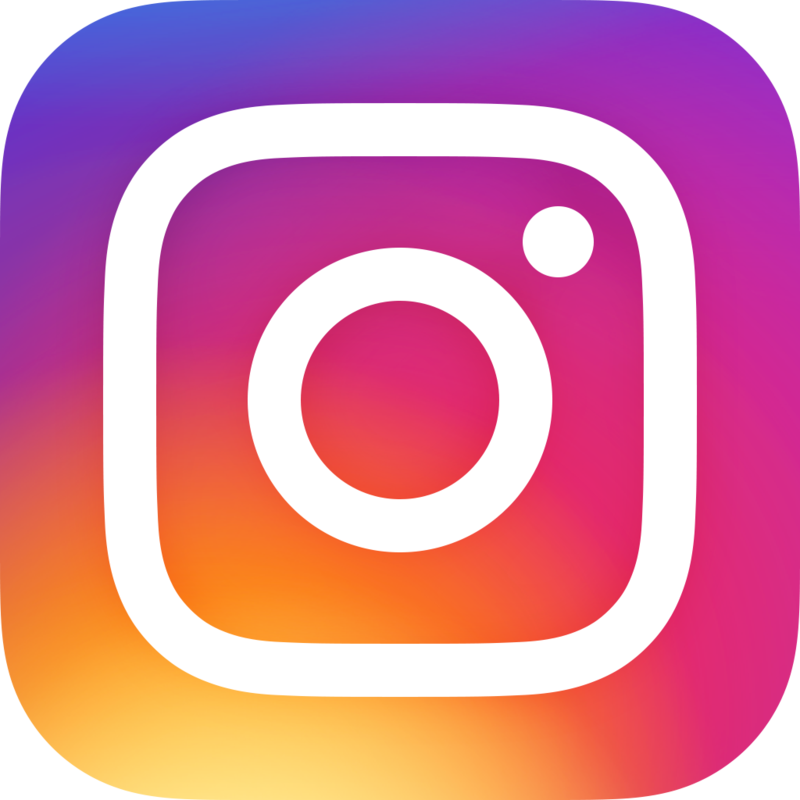 Solo shows and projects include the Esker Foundation in Calgary; Moti Hasson Gallery, Jack the Pelican Presents, and vertexList in New York; The San Francisco Arts Commission Gallery; Hallwalls in Buffalo; La Sala Naranja in Valencia, Spain. Her work has been included in group exhibitions and festivals at The Chelsea Museum and The Whitney Museum's Artport in New York, The Edith Russ Haus for Media Art in Germany, The International Biennial of Contemporary Art in Venezuela, The Sundance Film Festival in Utah, and the Centre d'Art Contemporain de Basse-Normandie in France. 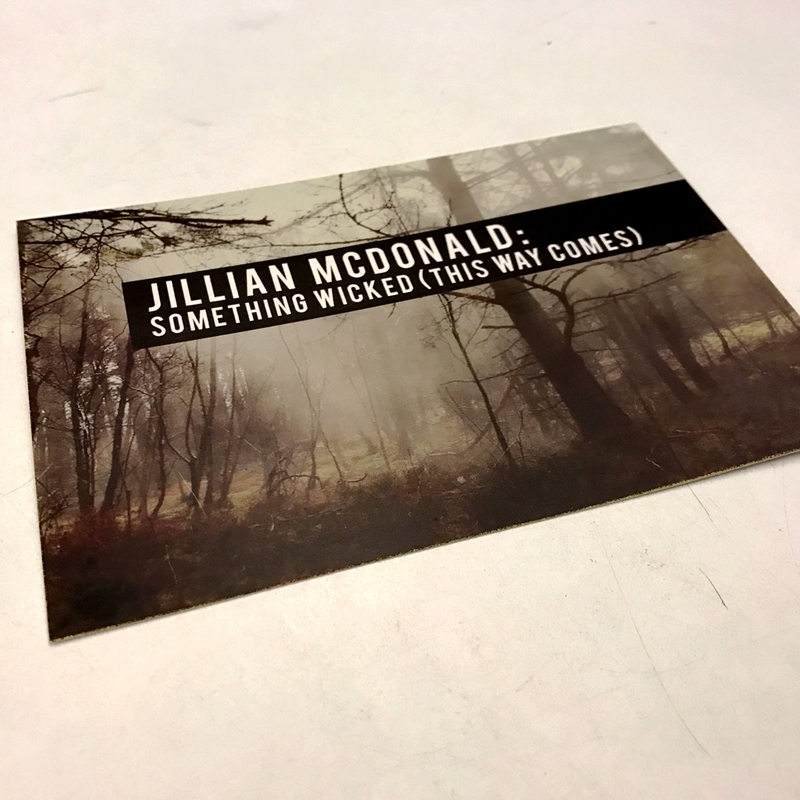 Jillian McDonald: Something Wicked (This Way Comes) is curated by Katherine Behar, Assistant Professor in the Department of Fine and Performing Arts in the Weissman School of Arts and Sciences at Baruch College. The exhibition is made possible by support from the Baruch Computing and Technology Center (BCTC).